Turn on wifi or mobile network in your phone. 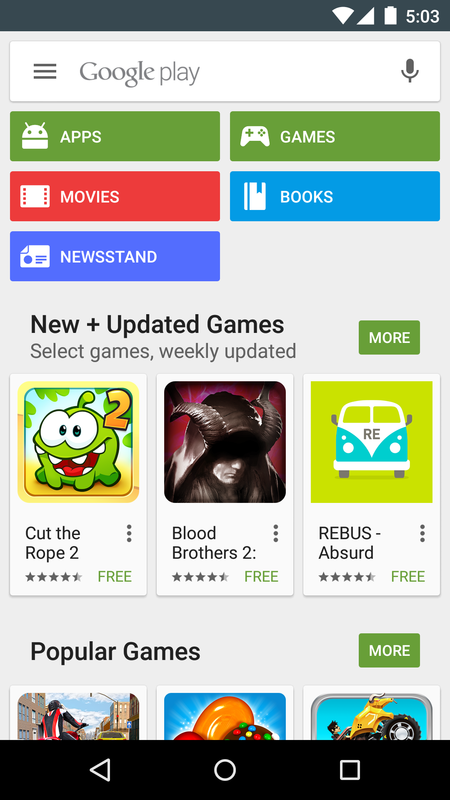 Now open Play Store(Formerly Android market) in your phone. You will be presented with featured Android applications. 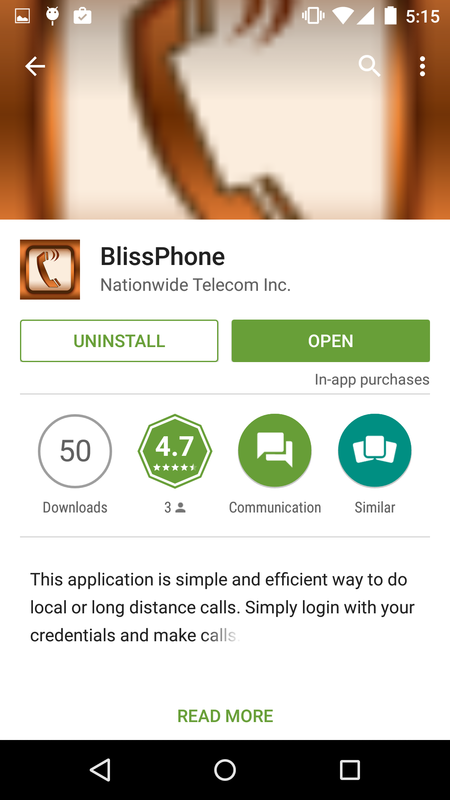 Click search button on top right corner and search for "BlissPhone". 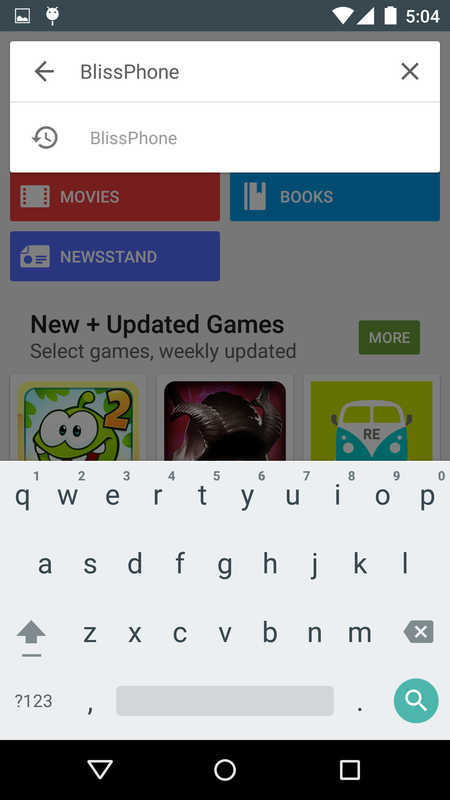 Then press the application name from the list of results. You will be presented with application description and screenshots. Click Install to install the application. This will start the installation procedure. Once installation is finished, you can click "Open" to start the application. 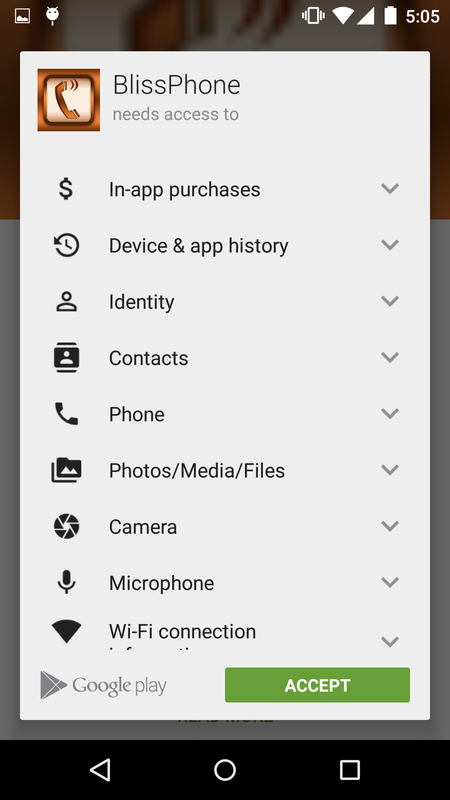 Alternatively you can open the application from application drawer any time.